Ankara (AFP) - Turkey on Tuesday threatened to boycott UN-backed peace talks on Syria scheduled for later this week if the main Syrian Kurdish party was invited. 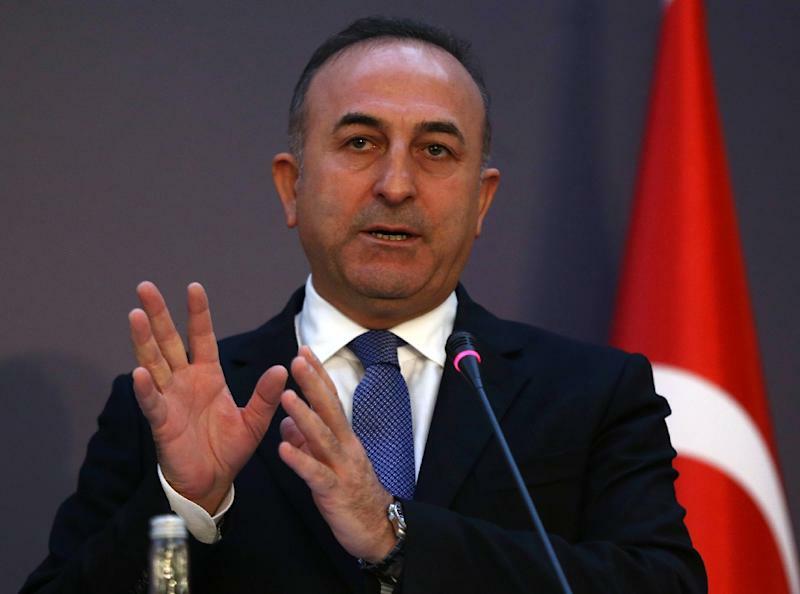 Foreign Minister Mevlut Cavusoglu said that "of course we will boycott" the Geneva talks if the Syrian Kurdish group Democratic Union Party (PYD), which Ankara believes is linked to militants fighting inside Turkey, was at the negotiating table. Turkey's objection, which comes after Moscow said the inclusion of the PYD was essential to the talks' success, threatens to be a major blow to the process seeking to find a solution to the almost five-year civil war. "In which capacity would the PYD sit at the table?" Cavusoglu said in a live interview on the private NTV television, saying it was a "terror group" like Islamic State or the Al-Nusra Front. "There cannot be PYD elements in the negotiating team. There cannot be terrorist organisations. Turkey has a clear stance." The United Nations on Tuesday sent out invitations for the talks in Geneva on Friday but did not specify which groups were called in. It was not clear if the PYD, Syria's most powerful Kurdish party led by Salih Muslim, had yet received an invitation. Turkey, like other major powers, was to be an observer at the talks which will be directly between the Syrian opposition, the regime and other protagonists in the conflict under a UN umbrella. Turkey, which has a 911 kilometre (566 mile) border with Syria and has long pressed for the ouster of President Bashar al-Assad, is seen as an essential player in the Geneva negotiations. Cavusoglu, who was in Strasbourg on Tuesday, spoke on the phone with his US and British counterparts, John Kerry and Philip Hammond to discuss "invitations" for the meeting, diplomatic sources said. Turkey considers the PYD and its military wing the People's Protection Units (YPG) to be offshoots of the outlawed Kurdistan Workers' Party (PKK) which wages an armed insurgency against Ankara. Prime Minister Ahmet Davutoglu earlier told ruling party lawmakers in parliament he was "categorically opposed" to either the PYD or YPG taking part in the talks. Davutoglu said he was not against Syrian Kurdish representatives joining the talks, deeming their presence at the table as a "necessity". But he did not specify which other Syrian Kurdish groups he would like to see involved at Friday's meeting. "The PYD, which cooperates with the (Syrian) regime, cannot represent the rightful fight of the Syrian people," said the Turkish premier. Turkey has long accused the PYD of being allies of Assad in a secret pact to carve out an autonomous Kurdish region in northern Syria. The Syrian Kurdish group rejects this. US Vice President Joe Biden, who visited Turkey at the weekend, said that the PKK was a terror group "plain and simple" but made no such denunciation of the YPG which has emerged as an American ally against jihadists on the ground in Syria. 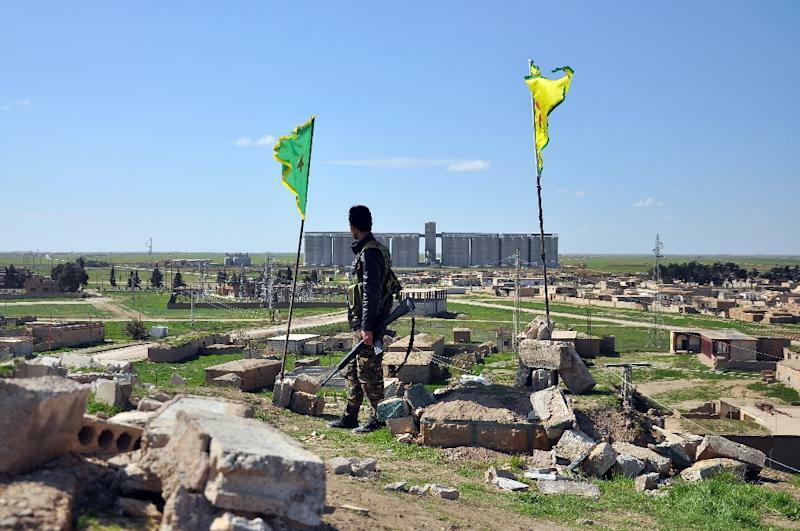 Turkey is part of the international coalition fighting IS in Syria but attaches an equal importance to its battle against the PKK which has killed dozens of police and soldiers since a ceasefire shattered this summer. But Russian Foreign Minister Sergei Lavrov on Tuesday insisted that UN-backed Syria talks would not be successful if the PYD was not invited. "Without this party, without this participant the talks cannot achieve the results that we want, a definitive political resolution in Syria," Lavrov told journalists. Russia and Turkey are currently experiencing their worst crisis in relations in years over the shooting down on November 24 of one of Moscow's warplanes by Ankara on the border with Syria. Moscow has also taken steps in the last months to revive its Soviet-era ties with Kurdish groups, notably holding talks with the PYD's leader Salih Muslim in a move that alarmed Ankara.